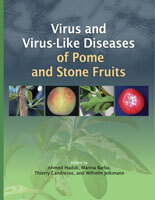 This impressive new reference presents state-of-the-art biological, molecular, and immunological advances surrounding the causes and strategies for diagnosing and controlling virus diseases of stone fruits. The book’s vivid color images aid in the visual identification of symptomatology while distribution data and improved laboratory techniques provide reliable information and tools for higher diagnostic accuracy. It includes information on economic impact, biology, distribution, taxonomy, genomes, epidemiology, pathogenicity detection, and control measures. This will be an important resource for anyone working with these high-value crops. Graft transmissible diseases of pome and stone fruits have been known for several centuries to reduce yield and quality of fruits before the discovery that their etiological agents are viruses, viroids or phytoplasmas. The recognition that these agents are involved in the etiology of pome and/or stone fruit diseases was revealed during the first few decades of the 20th century for viruses and the 1970s and 1980s for viroids and phytoplasmas. During the last three decades much progress has been made in the fields of plant virology, molecular biology, genomics, biotechnology, and immunology, which significantly accelerated and facilitated research on these pathogens. As a consequence, the flow of published information on these systemic pathogens has increased steadily, reporting both new findings on known pathogens and the discovery of new ones. 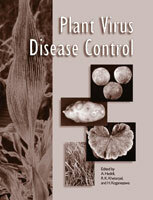 After having collaborated with each other for many years in this research field, Virus and Virus-Like Diseases of Pome and Stone Fruits was conceived in 2004 with our recognition of the need for a book that would provide state-of-the-art information on biological, molecular and immunological advances in our knowledge of these pathogens and of strategies to control them. This book presents the result of this team endeavor, providing up to date information in a comprehensive, scientific, and systematic manner.